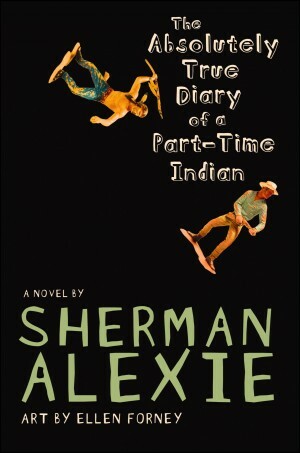 For at least the fifth time this year, Sherman Alexie’s The Absolutely True Diary of a Part-Time Indian has been challenged as part of a public school curriculum. This time it’s at Alton High School in Alton, Illinois, and CBLDF recently joined with other members of the Kids’ Right to Read Project to urge that the book be retained as an assignment for 10th grade students. In a letter sent last week, KRRP member organizations asked the Alton School District to “clarify its policies and specify that a book will be kept in the classroom or curriculum while it is under review.” The district’s current policy for complaints regarding instructional materials (6:260) is extremely vague, and directs complainants to follow the Uniform Grievance Procedure (2:260) also used for cases like ADA violations, sexual harassment, and bullying. Due to the catch-all nature of this procedure, it does not include any safeguards for intellectual freedom in the situation where a book or other material has been challenged. While Alton officials now say that Absolutely True Diary remains in use pending committee review, there appears to be nothing in either the challenge policy or the Uniform Grievance Procedure to ensure that every challenged book will receive the same protection. In the past, other school districts have learned that failing to spell this point out in policy can result in one person effectively keeping a book out of students’ hands for an extended period of time, simply by filing a challenge and then stretching the appeals process over weeks or months. In Buncombe County, North Carolina in 2015, the school board voted to change its policy after one parent’s challenge to Khaled Hosseini’s The Kite Runner resulted in the book being withheld from all Honors English II students for an entire semester. 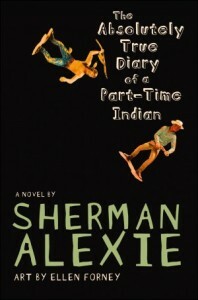 In addition to the confusion over how pending challenges are handled in Alton, there was another puzzler in an article from the Telegraph newspaper when assistant superintendent Kristie Baumgartner said that the parent who complained about Absolutely True Diary “is not asking for the book to be banned/removed.” If that is the case, then it is unclear why a review of the book is needed since the challenge policy does say that any parent can request an alternate assignment for their own child. I’ve been one of the students reading this book and I can assure you anything your child has read in this book they’ve already seen through a social media outlet or learned from other students at the school. If you believe it’s too much for them then have them read the alternate book. Race, sexuality and other issues mentioned in the book are a big part of the world today and I don’t think banning or removing a book is really gonna keep your child from learning about these topics. Sorry not sorry. Here’s hoping the same wisdom prevails if and when the school board or administration take action on the book! Below, check out the full letter sent by KRRP members last week.